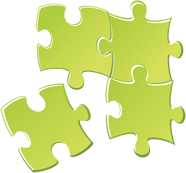 How can you assess contextual memory deficits? Is it possible to stimulate and improve contextual memory? Contextual Memory could be defined as the ability to memorize and discern the origin of a specific memory. This memory can include time, place, people, emotion, or any other kind of contextual information related to the memory. Partial or erroneous codification of the contextual information of a certain event may be due to time restraint, stress, distractions, or a deficit in information processing skills. Contextual memory is a basic process in long-term memory, which refers to the ability to remember emotional, social, spatial, or temporal circumstances related to an event. In other words, it is the ability that allows us to remember the different aspects that come with learning something new. For example, you might hear a song that reminds you of your wedding day and makes you think of how nervous you were, or maybe you don't like the color green because it was your ex-boyfriend/girlfriend's favorite color. Contextual memory is a key element in the cognitive process, which is essential for the development of an efficient memory. Contextual memory has the ability to bring up your past. For example, associating a room with a terrible event (just because it happened there once), or a song with someone special, making our reality a feasible element in our existence. Contextual memory is defined as the temporary organization of sequences of events, the identification of the place were we learned new information, and the source of the new information. Contextual Memory is the conscious recall of the source and circumstances of a specific memory. Contextual memory is important because it favors the learning and recovery of information. By thinking about the conditions or environment in which we learned something, our mind can piece together the situation, making it easier to remember the information we're searching for. You hear a song and even though it's new, it sounds familiar. You try to remember when and where you were when you heard it before. You search your memory, and you remember that you heard it three days ago on the radio as you were going to the supermarket with your daughter. You also remember that, even though you liked the song, your daughter turned it off impatiently. Someone tells you a story and you realize that you've heard it before. You think about it and remember that your grandma told you the story a rainy afternoon a few years ago. You know that your friend's daughter has moved to France. You want to remember where in France. You search your memory and remember that it is Toulouse and that you learnt about it from a farewell e-mail that she sent you and all her acquaintances a year ago. Contextual memory may be affected by pathologies that affect the frontal lobe, like dementia or stroke with brain injury in the frontal lobe, and most other pathologies that affect this area. Other parts of the brain, like the hippocampus and retrosplenial cortex are related to contextual memory processing, which in critical for creating contextual memories. Poor contextual memory is associated with a greater sense of "now". Scientists are currently discussing the possible links between contextual memory and a propensity toward psychosis. With the complete neuropsychological assessment from CogniFit, you can efficiently and precisely measure the user's contextual memory. The Cognitive Assessment battery allows us to precisely measure the user's general cognitive level, and has a series of cognitive tasks designed to specifically measure contextual memory. To assess contextual memory, we use the specific tasks that were inspired by the classic Contextual Memory Test, Togalia (1993). It has been shown that contextual memory deterioration is associated with the frontal lobe and not necessarily related to age. With the Inquiry Test REST-COM and the Identification Test COM-NAM, you can see the classification levels of stimuli in the user's memory. We are able to determine these classifications by identifying similarities in a same group. As such, it will assist in observing the user's ability to carry-out a recognition task as quickly as possible. The tasks attempt to help the user remember different aspects of the same context. In other words, it helps the user think about the different, separate aspects of an event to later remember it as a whole. This assessment doesn't only assess contextual memory, but also assesses updating, naming, response time, etc. Absolutely. Just like any other cognitive skill, contextual memory can be trained, learned, and improved, and CogniFit can help you do it. Cognitive training, like the palliative method for treating memory problems, is a proven method that can be used by both professionals and individuals. Thanks to brain plasticity, or neuroplasticity, we are able to strengthen the weaker neural connections responsible for a deficient contextual memory, which will help improve the efficiency of these neural circuits. 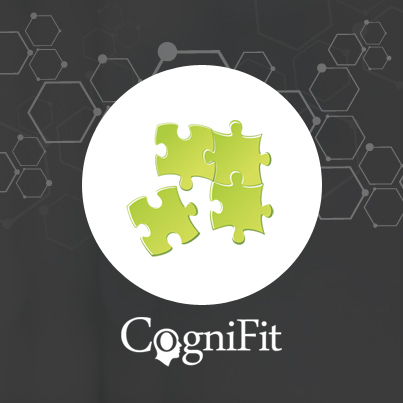 With the neurocognitive assessment from CogniFit will assess contextual memory, and based on the gathered results, will automatically offer you a complete training regimen with personalized cognitive exercises to help improve contextual memory. The neuropsychological assessment and cognitive stimulation program from CogniFit was designed by a team of neurologists and cognitive psychologists who study synaptic plasticity and neurogenesis. You only need 15 minutes, 2-3 times a week to stimulate the neurons and cognitive processes. This program is available online. The different interactive exercises are presented as entertaining brain games. After each session, CogniFit will present you with a detailed graph with the user's progress. It has been proven that the battery of online clinical exercises from CogniFit encourages new synapses and neural circuits that are able to reorganize and recover the function of the most deteriorated cognitive domains, among of which is contextual memory.